Many accident occuring on the ground are due to a bad control of the brakes. 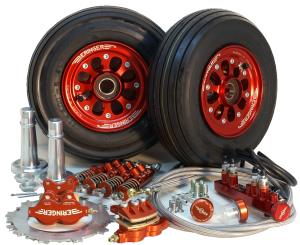 The BERINGER ALIR system is included in most of the wheel & brake kits. The BERINGER ALIR system improves the control of the brakes and helps the pilot to control the brakes. This Anti-skid in Line Regulator allows the control of the direction on the ground with differential braking. It avoids wheel locking and risk of nose over when applying full effort on the braking pedals. It reduces the stopping distance. The system can be installed on certain old aircraft. 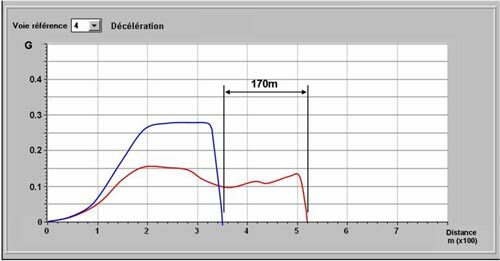 Nota: BERINGER brake pads used int the ALIR system have a friction coefficient that increases with the temperature allowing an increase of the deceleration when the lift decreases on the wings.